There are many things in life to be thankful for, so don't let one ungrateful individual ruin your entire day. Positivity implies a positive attitude. 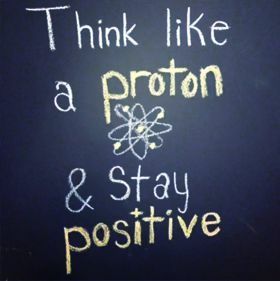 Being positive in your outlook, i.e. Thoughts and ideas, is extremely essential to rise higher in life. A negative person can never make it big in life. Positivity or a positive side makes you look at the brighter side of things and find the hidden meaning behind all your life events. At times, things might happen that might not go well with your wishes and whims, but you should learn to accept it and take it in your stride. People with a positive attitude don't get bogged down easily because of negative circumstances and adversities. Positivity helps people to find an opportunity in every crisis. When chaos shows up in the life of a positive person, his or her positive attitude helps him or her to come out of the chaos with flying colors. Positivity is a blessing and people should cultivate a positive outlook towards life if they want to live it fully.